There is nothing more gratifying than seeing the transformation of a design vision become a reality. The Terra Ferma team strives for excellence with their passionate and meticulous approach to every project. 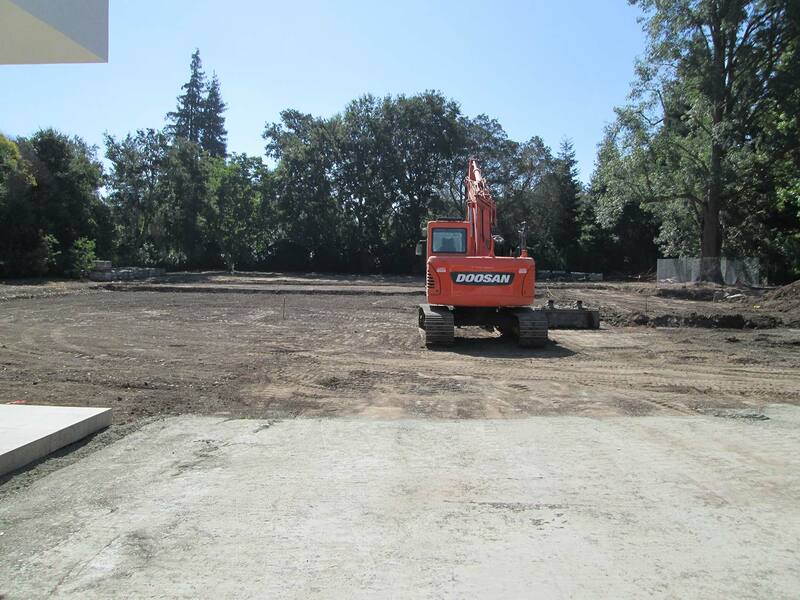 Take a peek at a few of our latest construction projects. 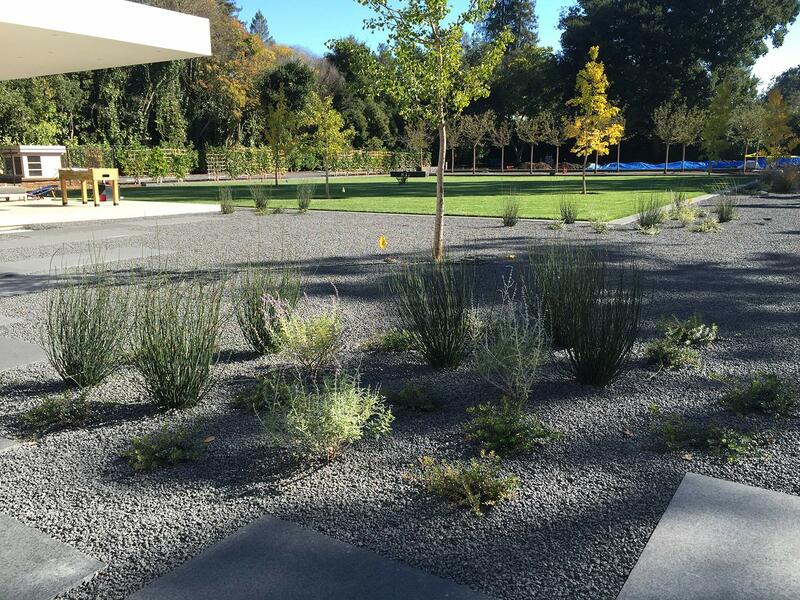 This Atherton residence, designed by Bernard Trainor + Associates focused on a completely modern landscape installation for the property. The expansive site is complete with a grand pool, monolithic basalt benches, basalt stone paving, espalier fruit trees and Ginkgo trees sprinkled throughout the property. Our keen attention to a Landscape Architect’s vision coupled with our thorough sourcing of materials ensures we supply our projects with the highest quality materials and no details are overlooked. 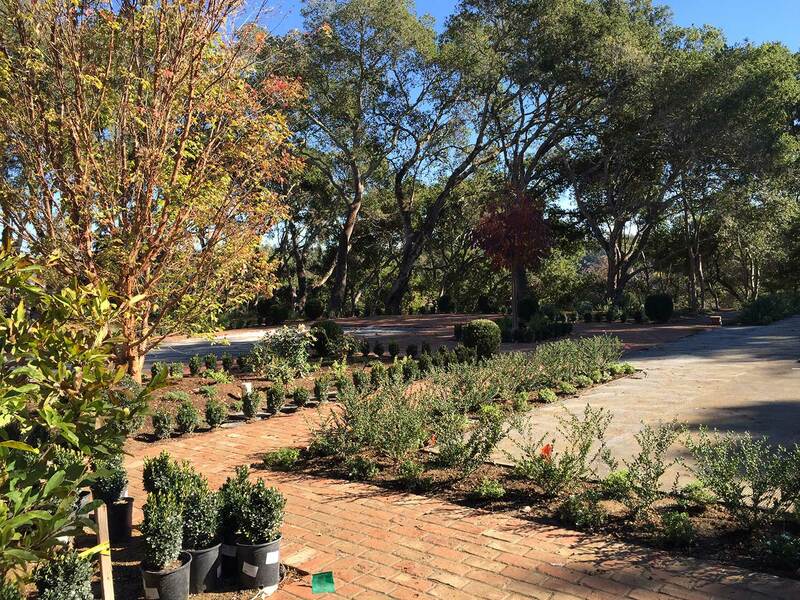 The Woodside residence focused on a completely new planting install. 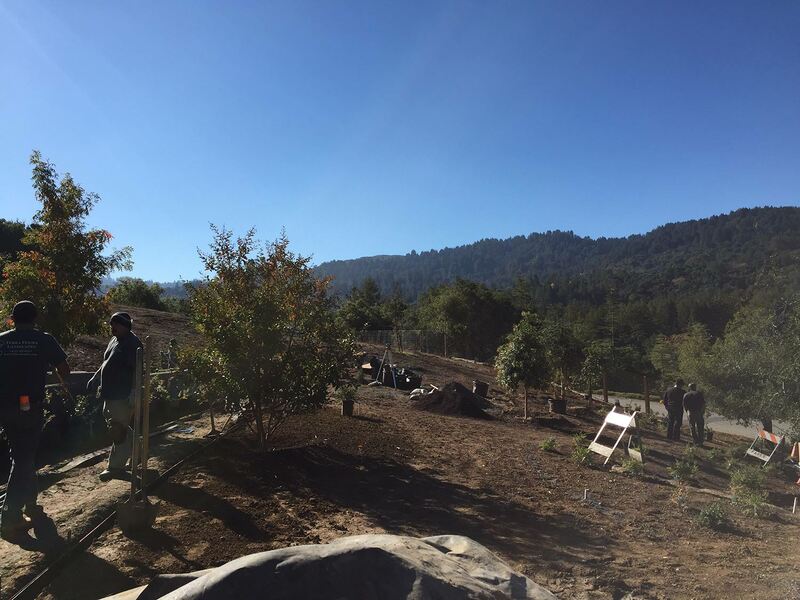 In this photo we were able to capture one of the most crucial steps in the construction phase, plant spotting. Along with the clients, we are very excited to see the final product! This front yard renovation in Hillsborough has been a very unique project. 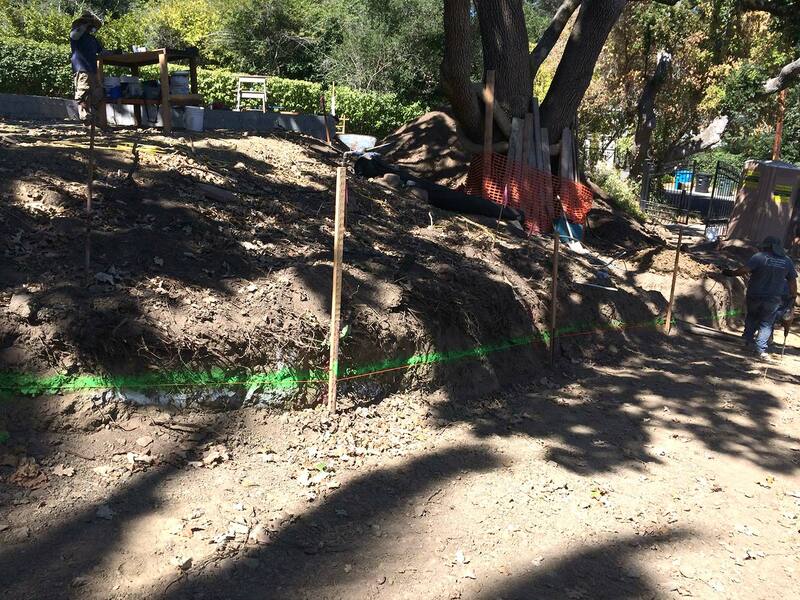 The entire front hillside was cleared leaving the mature heritage oak tree. Our scope of work included building a new driveway and entry to provide curb appeal and experience when entering the property. 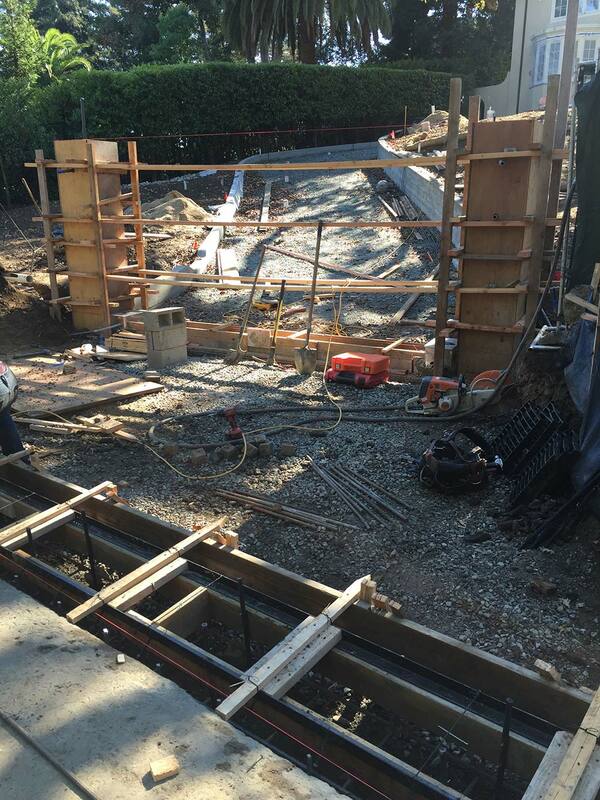 As part of the process we have installed custom concrete swale and trench drain per the Town and Civil Engineer’s request and requirements. Close collaboration with the project team made this aspect of the installation timely and seamless. We look forward to your projects in the New Year. Happy Holidays!